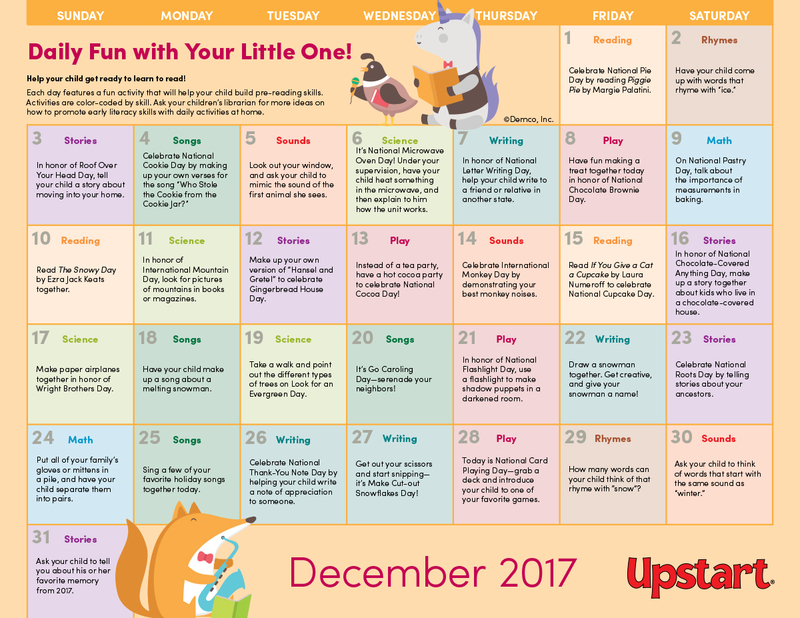 Help parents bring winter cheer into their homes with a month of early literacy activities they can do with their little ones in December. With holidays like Letter Writing Day, Pastry Day and Card Playing Day, as well as winter crafts, book suggestions, and simple math and science activities, parents will have as much fun as their kids! 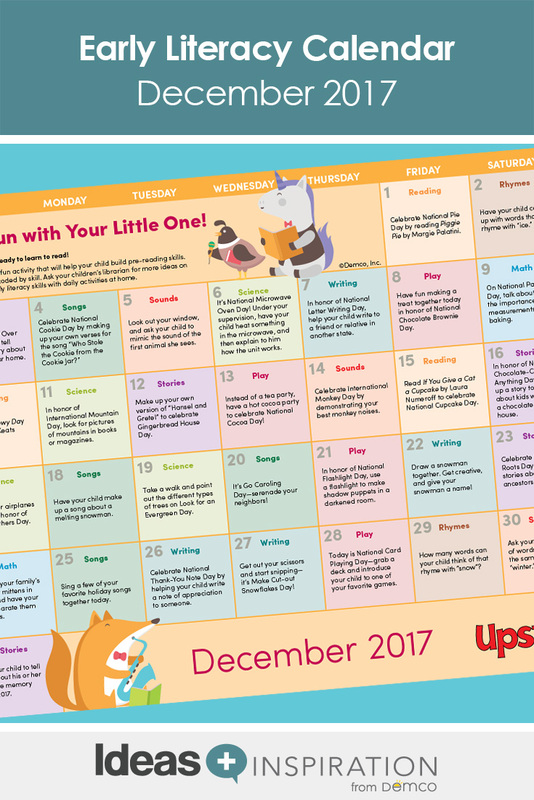 Download the December Daily Fun With Your Little One calendar.